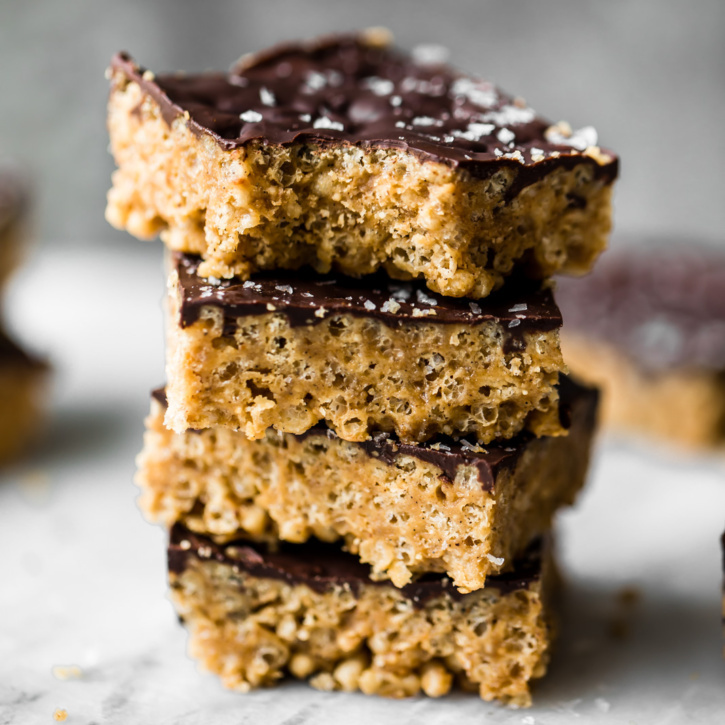 Homemade healthy no bake peanut butter granola bars will be your new favorite snack. 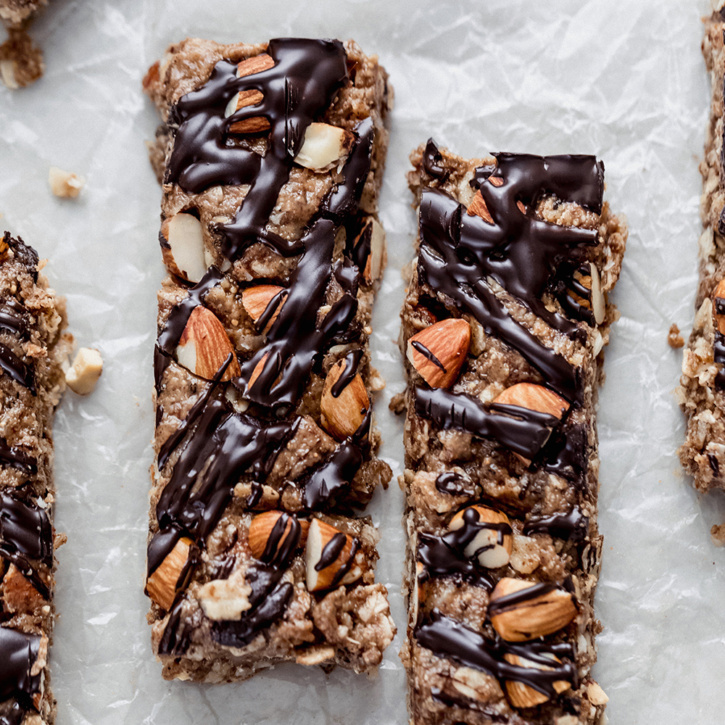 These chewy granola bars are packed with wholesome ingredients like peanut butter, honey, chia seeds, flax, almonds, and drizzled with dark chocolate. YUM. 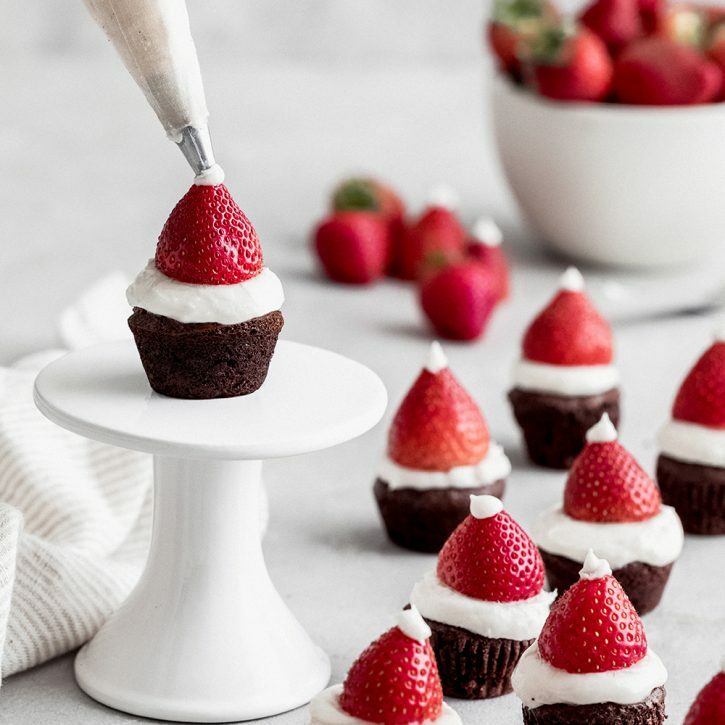 Adorable Santa Hat Brownie Cookie Cups that are perfect for the holiday season. 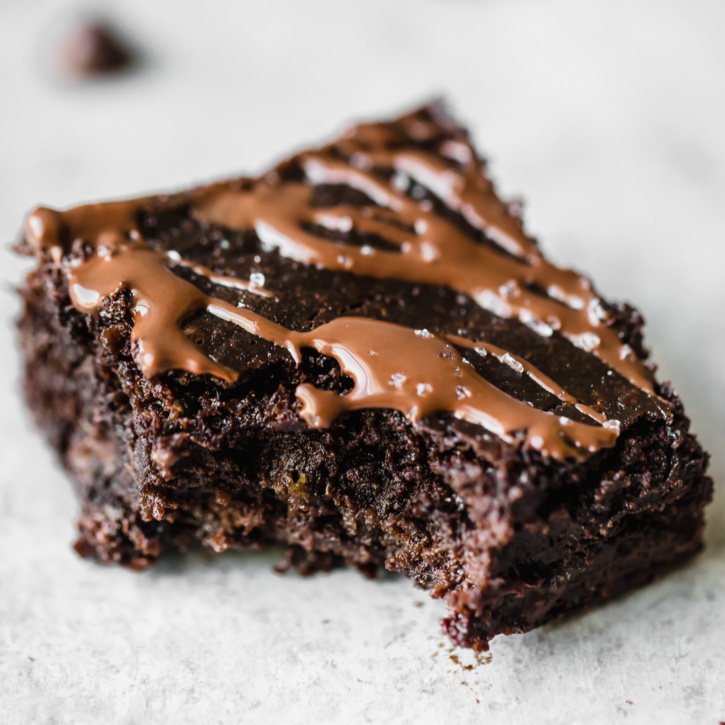 Easy to make, gluten free and so fudgy! This recipe is in partnership with ALDI. 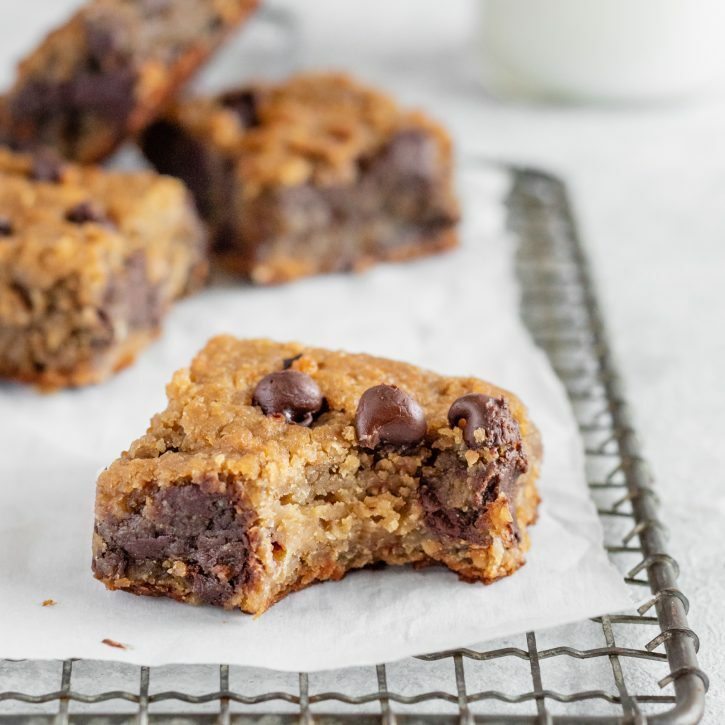 Paleo chocolate chip tahini blondies that are gooey with nutty, earthy notes and chocolate puddles in every bite. 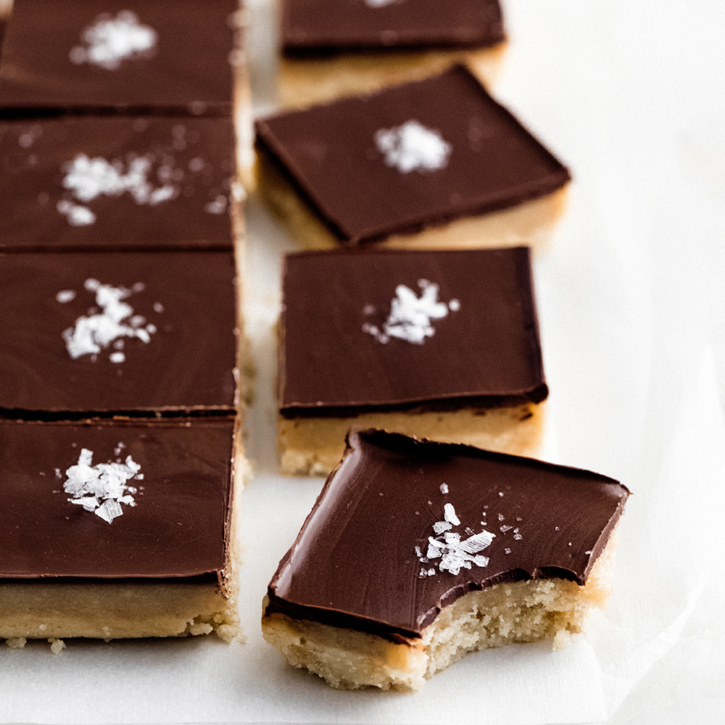 These will be your go-to dessert for parties, or whenever you need something sweet. The BEST healthy zucchini brownies you’ll ever eat are gluten free, paleo, deliciously fudgy, and the perfect way to bake with zucchini. Top them with fancy sea salt to make them extra special! Incredible no bake desserts that are perfect for making all summer! 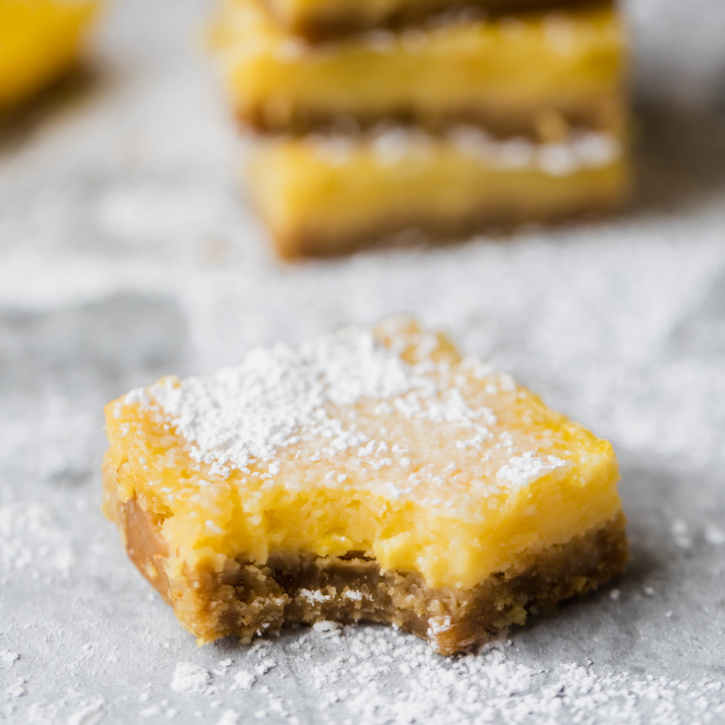 From pies and tarts to decadent bars, these no bake desserts will be your new favorites to make and share with everyone. 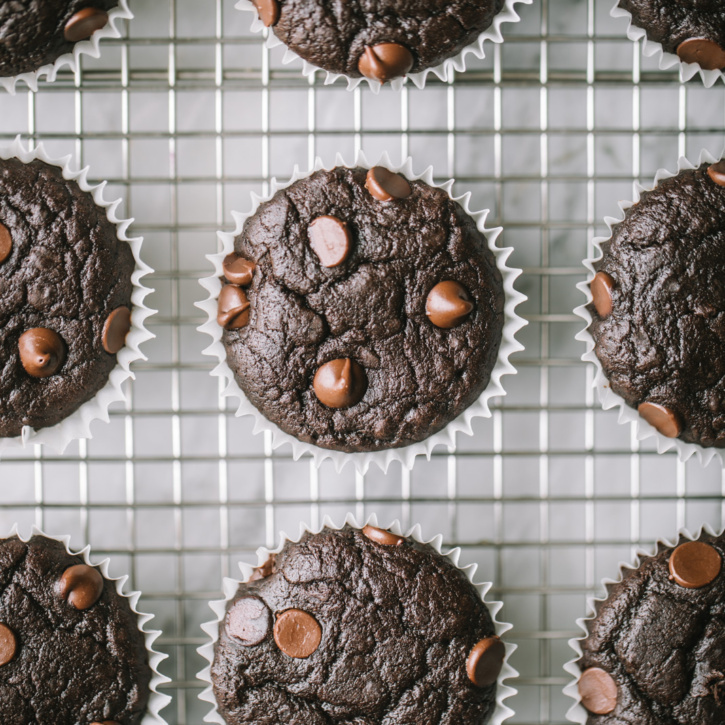 Flourless black bean muffins that taste like a delicious, cakey brownie! These easy, fiber packed muffins are gluten free and the perfect healthy treat. Healthy Rice Krispie Treats made with peanut butter, coconut oil, maple syrup and brown rice krispies. 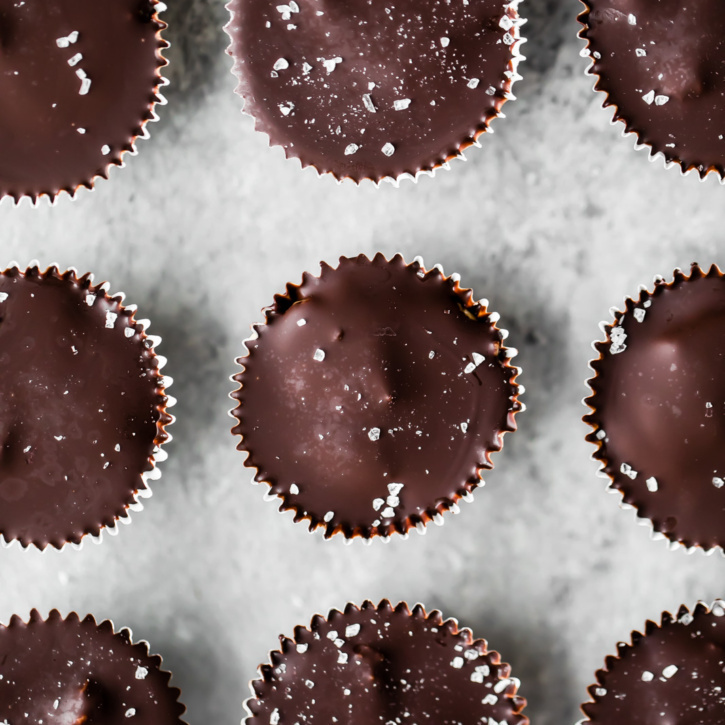 These vegan and gluten free treats are topped with dark chocolate and sea salt for an indulgent treat that tastes just like a crunchy peanut butter cup. 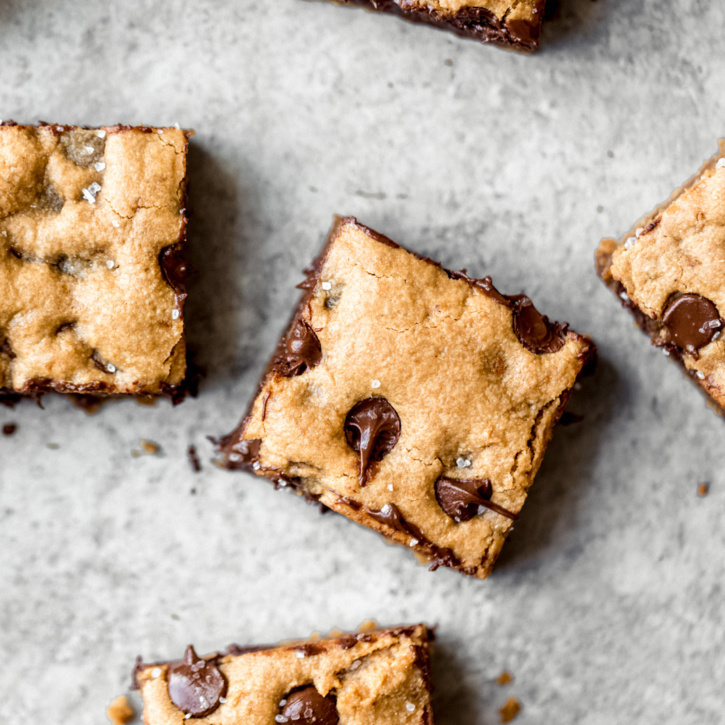 Options to add a bit of protein powder to make these a great post workout treat!